Do you remember being forced to read the “classics” in school? Did any of those books speak to you or leave an impression? I didn’t learn to appreciate older novels until my mid-twenties when I became serious about writing. 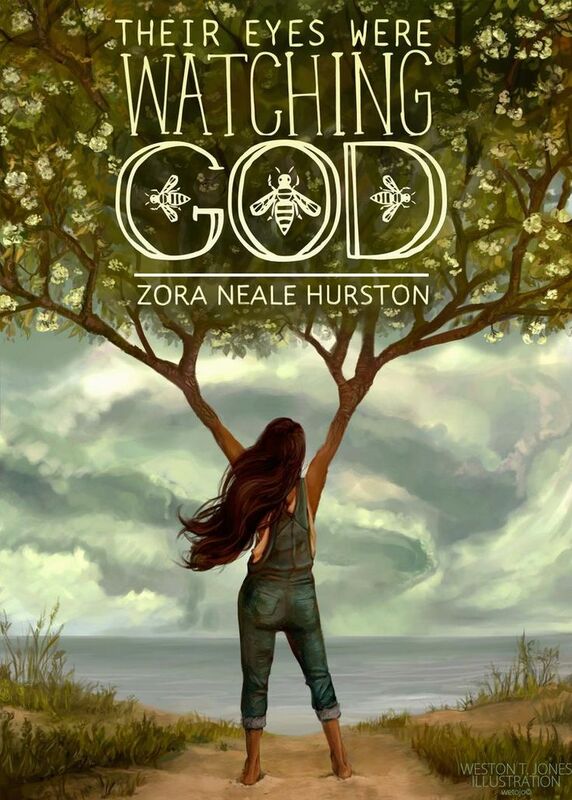 My favorite – so far – is Their Eyes Were Watching God by Zora Neale Hurston. If you have a passion for non-modern books or even a specific book and want to write like that author, it’s important to take into account today’s readers. From Hurston’s novel, writers can learn when to use dialect and how to make readers feel close to your characters. “Ah wish mah people would git mo’ business in ‘em and not spend so much time on foolishness” [said Jody]. “Everybody can’t be lak you, Jody. Somebody is bound tuh want tuh laugh and play” [said Janie]. What Hurston pulls off in this section and throughout the book is a thick dialect written phonetically. Hurston’s novel is not only about her characters, the story, and what it was like to be African American in the south in the 1900s; it is also about their language. One of her passions was folky speech, and she sought to preserve these pigeon-like dialects through her creative and academic writings. 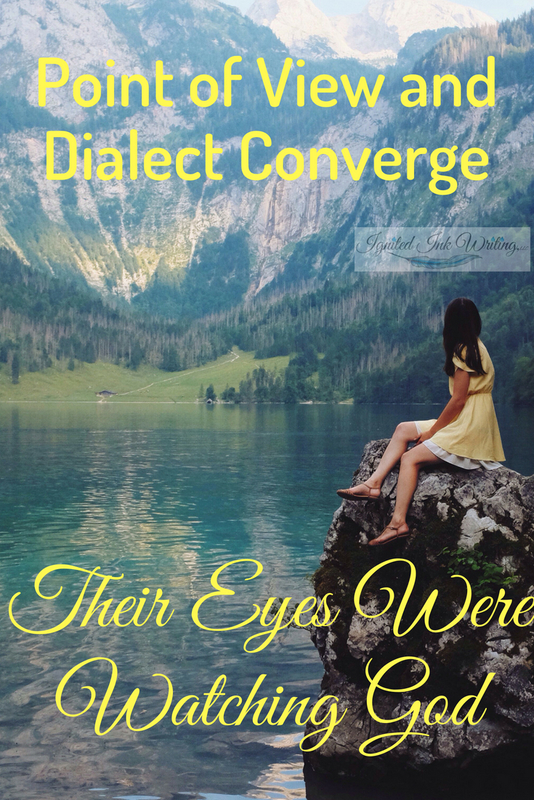 In Their Eyes Were Watching God she writes the characters dialogue as close to actual speech as possible both to stay true to the characters and to her language mission. Today’s readers are not very willing to push through difficult to comprehend writing. Normally, I advise writers use the order of words and word choice to hint at an accent or dialect instead of misspelling words and phrases. However, if you are trying to preserve language like Hurston or make some sort of statement through dialect, you might be able to get away with a heavier hand in dialogue. When Their Eyes Were Watching God was published, people loved it or hated it because of the dialect. I believe the same extremes hold true today. Thick dialects, like the one Hurston uses, are and have always been difficult to pull off. Readers don’t like to work hard to decipher a text and capturing the nuances of dialect in writing is not easy. If you’re thinking about using dialect ask yourself why. What is it adding to your story? Is it adding enough to make up for the extra work you’re asking your readers to put in? Are you okay with some people hating your story because of it? Hurston is a master of dialect. She studied it relentlessly. You may have to do the same if you wish to emulate that aspect of Their Eyes Were Watching God. If one of the features of classic literature you enjoy is the way the authors were able to jump from character to character in omniscient point of view, Their Eyes Were Watching God is an excellent novel to learn from. Hurston uses omniscient point of view to fully develop each character and show their thoughts, feelings, and motivations. Because she focuses on rounding her characters, she is able to prevent the all-knowing perspective from becoming too distant. In chapter one she shows both Janie’s thoughts and her grandmother’s on the same page. The vision of Logan Killicks was desecrating the pear tree, but Janie didn’t know how to tell Nanny that. She merely hunched over and pouted at the floor. . . . Instead she [Nanny] brushed back the heavy hair from Janie’s face and stood there suffering and loving and weeping internally for them both (14). In this section Janie’s grandmother has told her she will marry Logan. Janie is afraid. The pear tree is a metaphor for her life and happiness. She knows Logan isn’t the man for her and doesn’t want to accept him. Her grandmother is marrying her off for protection and understands Janie’s pain. This moment wouldn’t be as impactful and succinct without both character’s thoughts about the man and their motivations. Readers are able to understand both Janie’s refusal and her grandmother’s insistence because they get to see each inside each characters' head. They know both character is doing what they believe is best. Modern readers love characters. They want to feel like they know the people they read about, which is why pieces that use omniscient only to show events and plot often fall flat. Readers want to know what motivates the characters, what they think, and how they feel. When writers use omniscient both to develop characters and advance the plot is when the all-knowing point of view shines. The omniscient perspective also helps counteract some of the issues with the heavy use of dialect in Their Eyes Were Watching God. Even though the characters’ dialogue can be difficult to understand, their motivations are clear because Hurston shows motivations in the exposition too. In the first passage between Janie and Jody, readers know Jody wants to pick a fight before he begins speaking because Hurston tells them in the scene’s opening passage. Jody’s first line about people being foolish might not seem like an argument if the passage started without this knowledge. Janie might be mistaken as the instigator with her remark about some people having fun. By showing everyone’s thoughts and intentions at key moments, Hurston is able to both close the gap created by omniscient point of view and provide hints for people who don’t quite grasp the meaning of the dialogue. If you’re hoping to use omniscient in your own writing, make sure you are using it to deepen the plot and the character. Hopping around to show readers what’s happening in different places and to different characters isn’t enough. You need to show those characters’ inner thoughts, struggles, and motivations, so your readers can get to know them and understand their influence on the events of the story. In the past, traveling bards used more stereotypes and generic characters to keep their tales relevant everywhere they went. Today’s readers (like Hurston’s) want a fuller, more specific character. It’s okay to want to write like your favorite classic author. It’s natural to want to be like people you admire, but don’t forget who your readers are. I’ve met many writers who want to write exactly like Edgar Allen Poe, Gertrude Stein, Hermin Melville, or Zora Neale Hurston. I encourage you to learn from them and utilize the writing techniques they mastered. However, don’t get lost in the flowery language of the past unless you write historical fiction. Think about your modern reader and what they’d enjoy. I don’t think I’d have appreciated Their Eyes Were Watching God as much if I’d read it before I became a writer. Are you writing for writers? Or are you writing for readers who aren’t writers? Modern readers have lots of entertainment options. Many classic stories were written before video games, TV, and radio. If you want to keep your readers reading, you need to understand their time is limited. Many of today's writers can't afford the long tangents past authors were known for. To keep your reader interested, you must stay focused on the characters, plot, and story and keep tangents to a minimum. My advice about keeping modern times in mind is assuming you want to publish and reach a wide audience. If you are writing solely for yourself or a specific niche of rabid Hurston fans, you might not need to consider the current era as much. However, knowing your audience is key to successful traditional and self-publishing, so while you can use dialect and omniscient point of view like Zora Neale Hurston in Their Eyes Were Watching God, you need to be certain there is a market for that style of writing today. Explore the techniques you love; then take the applicable ones and use them to Ignite Your Ink.